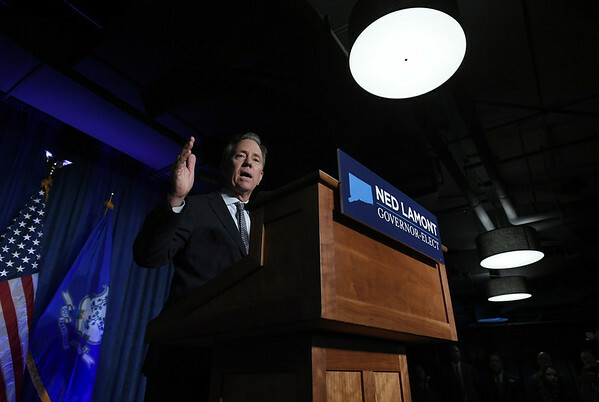 HARTFORD - Democrat Ned Lamont will be Connecticut’s next governor. After vote tallying extending well into the morning, the gubernatorial race between Lamont and Republican Bob Stefanowski came to an end early Wednesday when Stefanowski conceded. “Earlier this morning, I received a call from Bob Stefanowski. After a long campaign, he could not have been more gracious, and I could not be more appreciative. I look forward to working with him, because we all need to come together - regardless of party - to solve our state’s biggest challenges,” Lamont said. Stefanowski issued a statement to the press after the call. “While this is not the result we would have hoped for, I am glad that we were able to draw so much attention to the tax burden in this state,” Stefanowski said. The Republican thanked his team and supporters for their efforts in making the race close. “I will forever be grateful for the love and support this state has shown me, my family and this campaign over the last year,” Stefanowski said. Lamont, 64, of Greenwich, ran with former Secretary of the State Susan Bysiewicz as his running mate. The 56-year-old Stefanowski, of Madison, ran with state Sen. Joe Markley, R-Southington. Gov. Dannel Malloy and Lt. Gov. Nancy Wyman congratulated Lamont and Bysiewicz. 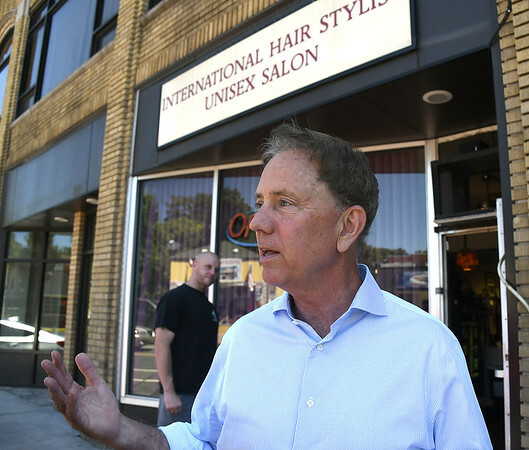 Lamont said the result was a reflection of voters’ disdain for President Donald Trump. “Elections offer a snapshot of the collective character as a state or nation. It’s our opportunity to affirm who we are and what we value. And today, Connecticut spoke loud and clear that we stand for fairness, inclusivity, and decency, that the politics of President Trump have no home here. That we resoundingly reject his politics of division, falsehoods, and empty promises,” Malloy said. “I offer my heartfelt congratulations to Governor-elect Ned Lamont and Lieutenant Governor-elect Susan Bysiewicz. Unquestionably, Connecticut has forward momentum, and of all the candidates on the ballot for these offices, they are, by far, the best suited to keep the state moving in the right direction. Under their leadership, Connecticut’s future remains bright. Oz Griebel, a former Republican, was an unaffiliated candidate running with Democrat Monte Frank on a bipartisan ticket. Those were the three major candidates running for governor, but two others qualified for the ballot: Libertarian Rod Hanscomb and Amigo Constitution Party candidate Mark Stewart Greenstein. Hanscomb ran with Jeffrey Thibeault and Greenstein with John Demitrus. During his victory speech in Hartford, Lamont said he reached out to the General Assembly leadership of Democrats and Republicans to tell them he looked forward to bipartisan discussions. “We’re going to solve this thing by working together,” Lamont said. For secretary of the state, incumbent Denise Merrill won re-election over Republican Susan Chapman, Green Party candidate Mike DeRosa and Libertarian Heather Gwynn. In the attorney general race, Democrat William Tong defeated Republican Susan Hatfield and Green Party candidate Peter Goselin. In the race for treasurer, Democrat Shawn Wooden beat Republican Thad Gray and Libertarian Jesse Brohinsky. Incumbent Democratic Comptroller Kevin Lembo secured re-election by defeating Republican Kurt Miller, Green Party candidate Ed Heflin and Libertarian Paul Passarelli. Posted in New Britain Herald, State, General News on Wednesday, 7 November 2018 20:57. Updated: Wednesday, 7 November 2018 20:59.